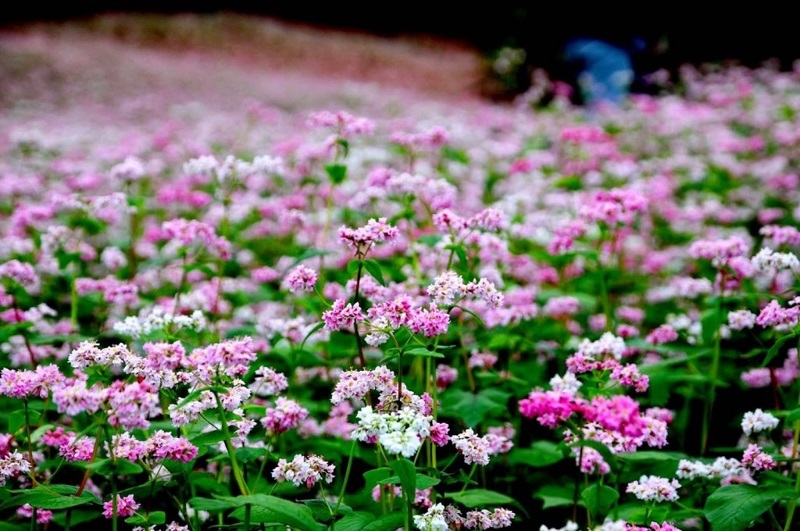 Ha Giang has become the Best destination in Vietnam. 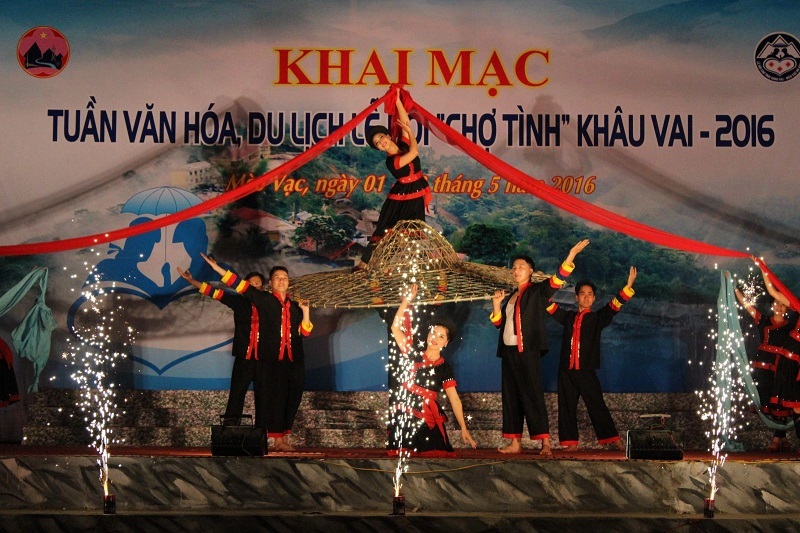 The “adultery” fair here is one of the contributors to the beauty of Ha Giang. At these fair, women and men are free to love, date, and love with their ex-lover without the jealousy or reproach of their husbands and wives. Beautiful folk culture with special characteristics of ethnic groups in Ha Giang. The love market festival, annually organized on the 3rd lunar month of 26th and 27th, sees the participation of a huge number of ethnic locals. Visiting the market on its festival, you not only enjoy the ethnic food and drink culture, song performances and folk games, but buy some ethnic costumes, jewelry, musical instruments, and culture and art publications as well. 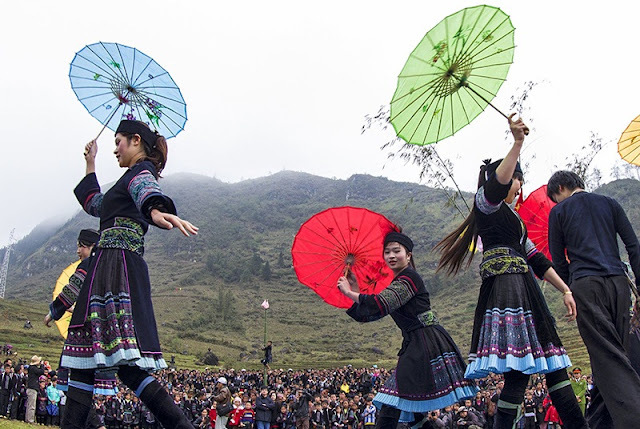 The fair is organized about 200 km away from Ha Giang city, once a year on 27th of the third lunar month, in spite of sloping roads, rocky mountains and jagged cliffs everywhere, they still come to Khau Vai, to find a love still unfinished. The way to come to Khau Vai love fair is quite dangerous but that does not make anyone step back, they still go and go with a longing for the fair to find a love still unfinished. There are people in remote villages that have to spend many days to get to Khau Vai fair but they still have to try their best. Khau Vai love fair originated from a legend of a beautiful but tragic love between a boy named Ba who was the Nung boy, handsome, hardworking and flute well and beautiful girl of Giay people – the daughter of the patriarch. However, they encountered the harsh opposition of the girl’s family. They said that the boy is not worthy to marry their daughter and that they did not allow their daughter to marry a person of another village. Despite being forbidden, their love “flamed up” more and they had dated to escape to Khau Vai cave to live together. The incident caused the hatred between two families. Because parents and villagers hate each other just because of their love, so the boy and girl broke up with each other and return their home. They swore that after marriage with another person they will meet again at Khau Vai Mountain on that day every year when they broke up. Derived from the traces of a romantic love story full of humanity, and the generous lifestyle of the ethnic minorities in Ha Giang, Khau Vai people have “woven” the ideas of a market for love. Khau Vai love fair was officially formed to become a meeting place between the people who are loving and will love each other. Today, Khau Vai love fair is also a place to meet, the exchange between pairs of lovers, new boys and girls come here to satisfy the emotional needs, or find a partner for themselves. Participants have to prepare for a long time before coming to Khau Vai love fair. They make food, drinks, sticky rice packages, cassava roots … to bring to the market to enjoy with their ex-lover. The boys, girls of the ethnic groups like Mong, Nung, Giay, … ethnic wear the most beautiful shirt, the newest dress to go to the fair to find love mate. Recently, due to the need of life so in the fair, in addition to dating, meeting, they also bring goods to sell. If you take Vietnam package Tours to come to Ha Giang, you can buy some Handicrafts of ethnic minorities here. In addition, To enjoy the most beautiful sightseeings in Vietnam by your eyes, you can see some attractive itineraries at: http://sapatoursfromhanoi.com/ to discover where ever you want to enjoy the Vietnamese taste.